Unlike the unmarried women in some of her tales, Jane Austen’s novels never get old. Although her classic works were published a good two centuries ago, they have been continually adapted throughout the years in all their grand and sweeping Regency Era glory. Pride and Prejudice alone has found its way to film and television ten times, and while it’s always fun to see our favorite novels come to life — to put a human face to much-loved characters –it’s especially appreciated if that face belongs to Colin Firth and he finds himself emerging refreshed from a dip in the lake. If you haven’t seen the 1995 BBC Pride and Prejudice adaptation, give this scene a watch. It’s referenced in pop culture almost as much as the novel itself, and it is now commemorated by a 12-foot fiberglass sculpture that is making its way around England this year. But, bringing her nineteenth-century romantic hijinx to the big screen isn’t the only way modern-day authors and filmmakers are paying their respects to Miss Austen. In recent years, there has been an emerging trend of not only adapting but repurposing her work in completely unexpected ways. Why Austen’s work is so often recycled by contemporary writers should come as no surprise. Her smart humor and thoughtful social commentary are timeless conventions that provide insight into relationships, families, and class distinctions. Whether applied to early nineteenth-century England or late twentieth-century Beverly Hills, her themes remain universal — an unmatched lens by which we can examine our social sphere and the world. After all, no one does the marriage plot quite like Jane, and if you are going to write a romantic comedy, you may as well take a page from the best. The fierce female protagonists of Austen – from Emma Woodhouse to Fanny Price, and of course, Elizabeth Bennet — remain an inspiration to readers and writers, who have taken them up where Austen left off. Elizabeth Bennet has always been quick-witted and independent, but in recent years she’s been a detective, a zombie hunter, the heroine of a graphic novel and a YouTube sensation. And what about the other characters? 2014 will see a retelling of Pride and Prejudice from Mary Bennet’s point of view in The Forgotten Sister, and later this fall, Dinner with Mr. Darcy will offer recipes inspired by Austen’s novels. We all know Mr. Darcy can smolder, but can he cook? Pay tribute to Austen and her unforgettable work with these contemporary forays into the romantic misadventures she made famous. Bridget Jones’ Diary – In Helen Fielding’s 1996 novel, a single woman finds love with an unlikely suitor named Darcy. Sound familiar? It’s no coincidence. Fielding willingly admits that she “shamelessly stole the plot from Pride and Prejudice…I thought it had been very well market-researched over a number of centuries and she probably wouldn’t mind” (Daily Telegraph). Fielding’s novel became a 2001 film starring Rene Zellweger as Bridget Jones and Colin Firth as Mark Darcy – an inside joke for fans, who knew Firth as the Mr. Darcy of BBC fame who Bridget herself is so enamored with in the film and novel. 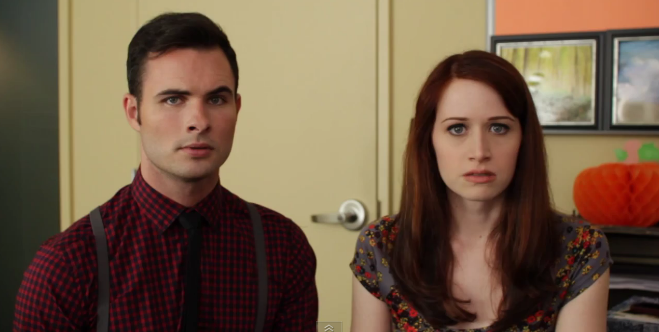 Lizzie Bennet Diaries – What if Pride and Prejudice took place in the modern day and Elizabeth Bennet was a live-at-home grad student with a video blog and a Twitter account? The tale is mostly told by Lizzie, with appearances in her videos by sisters Jane and Lydia and good friend Charlotte. The much-anticipated visage of William Darcy (minus the Fitz) isn’t shown on camera until episode 60, although he is discussed, and he is every bit the uptight company man you would expect – the CEO of Pemberley Digital who goes solely by Darcy. 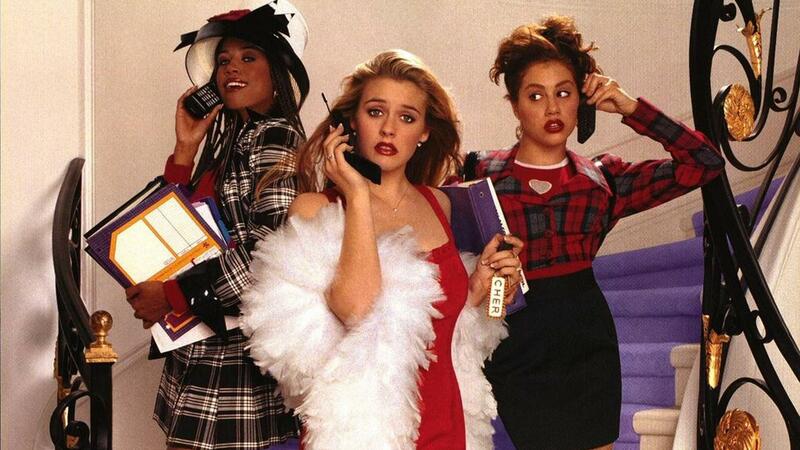 Clueless – As much a staple to 1990s pop culture as Jane Austen’s Emma is to the study of nineteenth-century literature, Amy Heckerling’s classic film is anything but clueless. Both stories of matchmaking gone awry, Cher Horowitz is Emma Woodhouse incarnate, a young, careless girl with too much money and not enough sense, which turns the tale in to a comedy of manners for each respective generation. Try to find a smarter, more spot-on contemporary retelling. As if! Austenland – First published in 2007, the novel by Shannon Hale was recently turned in to a 2013 film starring Keri Russell. Like Bridget Jones’ Diary, the protagonist is a thirtysomething single woman with an unhealthy crush on one Mr. Darcy as depicted by Colin Firth. She heads to “Austenland” – an adult theme park that is to thirtysomething single ladies what Disney World is for sugar-addled children, but instead of eating too much ice cream and testing your upchuck reflex on Space Mountain, you can mingle with Austenian suitors who will insult your pedigree and then charm your bonnet off. 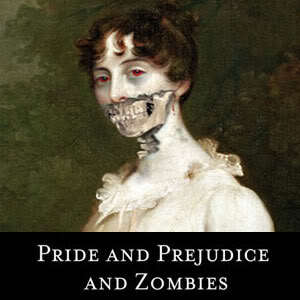 Pride and Prejudice and Zombies –“It is a truth universally acknowledged that a zombie in possession of brains must be in want of more brains.” If that doesn’t implore you to keep reading, then maybe this one isn’t for you. But if the pop culture remix of Austen and the undead piques your interest, then give it a stab – in the head, it’s the only surefire way to kill a zombie. The Jane Austen Book Club – The 2004 novel by Karen Joy Fowler, which was turned into a 2007 film of the same name, is a contemporary tale of five women and one man who meet once a month to discuss Jane Austen’s works. Each chapter revolves around one character and one of Austen’s classic novels, with parallels tying the novel to the modern-day entanglements of each character. If you’re not up for a Regency Era zombie apocalypse, you will definitely enjoy this Book Club. Lost in Austen – A four-part British miniseries that merges classic literature with fantasy as a modern-day girl travels back in time to the fictional world of Pride and Prejudice, with disastrous implications for the Bennet family. A Back to the Future-esque foray in to what would have happened if Mrs. Bennet wasn’t the only one meddling in her daughters’ love lives. And once again, Colin Firth’s performance from the BBC adaptation rears its quite attractive head when the contemporary protagonist tries to recreate the famous wet shirt scene with Mr. Darcy himself. Some may call Lost in Austen blasphemous for even daring to question the OTP (one true pairing) of P&P by posing an alternative to the epic love that is Elizabeth and Darcy – but it works in all its quirky glory. The Austen Project –An ambitious enterprise which seeks to present modern-day retellings of Austen’s six acclaimed novels as (re)written by best-selling contemporary authors. 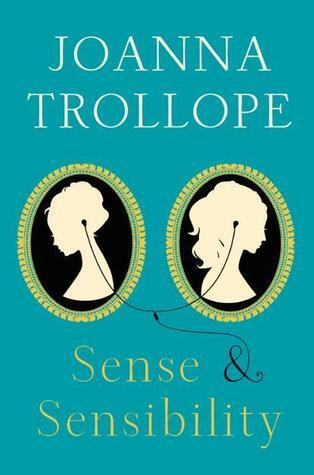 Joanna Trollope takes on Sense and Sensibility in the first release this month, to be soon followed by Val McDermid’s Northanger Abbey in March 2014. Curtis Sittenfeld (author of the 2013 summer reading mainstay Sisterland) has signed on to pen Pride and Prejudice, and Alexander McCall Smith was just announced as the author of the Emma 2.0. The stories will stay true to plot, but take place in the 21st century. Think Anne Elliot finding Wentworth on Facebook and Jane Bennet analyzing the meaning of Bingley’s overuse of emoji. If you want to set off on your own adventure to the real-life Austenland, travel to England on a tour of the places where she lived and wrote, or venture to Ireland to explore the ongoing legacy of the Austen family. Special Group Tours is offering multiple Austen-themed tours in 2014. Jane Austen’s Family Heritage in Northern Ireland & Donegal – While Ireland may not be the first place that comes to mind when considering Austen’s work, it is a place intregal to her legacy. This tour grants the opportunity to explore Dublin, Donegal and Northern Ireland alongside Dr. Sophia Hillan, author of May, Lou & Cass: Jane Austen’s Nieces in Ireland. Follow the real-life paths of Austen’s beloved nieces while taking in the history and culture of Ireland. Iceland Writers Retreat — Escape. Learn. Explore. Create.